The Government’s plan to extend full fibre broadband access to new build housing and remote rural areas looks like an excellent opportunity for network centric suppliers. 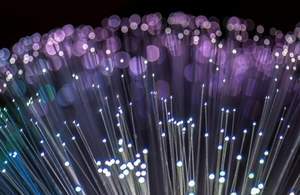 The long overdue move, which comes off the back of the Future Telecoms Infrastructure Review (FTIR), is targeting full fibre to 15 million premises by 2025 with the whole country covered by 2033. While that won’t appease those consumers and business users that don’t get connected until the later years of the project, it will stimulate a good 15 years’ worth of new equipment sales as well as ever expanding opportunities for broadband providers and network services suppliers. Established Gigabit providers such as CityFibre and its new partner Vodafone, along with Hyperoptic, rural fibre provider Gigaclear and full fibre latecomers BT Openreach and TalkTalk will be lining up to take advantage of the Government’s latest broadband spending spree (estimated at £3 billion to £5 billion), which builds upon the £190 million already allocated by the Department for Digital, Culture, Media & Sport’s Local Full Fibre Network (LFFN) Challenge Fund. It’s also quite likely that local providers could get in on the act, especially once the fibre is in the ground, while major equipment providers and services providers will be looking to extend existing partnerships and build new ones as appropriate. In the meantime, there’s still much work to be done to bring the previous generation of superfast broadband (where fibre only extends to the street cabinet) to many parts of the UK. Just this week Norfolk County Council committed £18 million for Tranche 3 of its Better Broadband for Norfolk (BBfN), which should fill in the county’s remaining superfast dead zones. However, with BT having delivered BBfN’s previous expansions it’s hard to look beyond the UK incumbent in this instance.